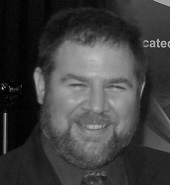 Graeme is the founder and Director of MIMT. He is a passionate about the massage industry and has been a remedial therapist since 1990. 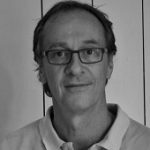 Graeme has a wealth of experience in sports and remedial massage having travelled across the world with various Australian sporting teams. He was also the Tournament Therapist at the Australian Tennis Open for a several years. Graeme has presented at several industry conferences and seminars. Graeme conveys an easy to understand format in his classes and his enthusiasm is contagious. It’s not hard to be motivated in his classes. Wendy has taught for over 15 years in adult education and is a popular trainer with our Diploma students. Wendy, who has a Bachelor of Applied Science (Physical Education), has been part of the MIMT team since its inception. Wendy has been involved in the development of our course structure and facilitator for our on line courses. She is now firmly entrenched in ensuring that students understand the concepts of movement and biomechanics. With a great sense of humour, Wendy is able to demonstrate and explain complex pieces of information into simple to understand real life scenarios. George Dellas is a doctor of TCM and naturopathy. George has developed a truly holistic approach through his unique ability of integrating the wisdom of TCM with the principles of Naturopathy and Remedial Massage. George also has expertise in Emotional Freedom Technique (EFT), Biomesotherapy, Functional Facial Tapping (FFT®) and various Remedial Massage Therapies, which he is able to draw from in the classroom situation. George’s gentle nature and unique skills help the students understand the philosophies and principles of eastern therapies. With over twenty years experience in the well-being profession, George is dedicated to working with students. Having such a wealth of information at his fingertips is truly an asset in the class. Trainer and Osteopath extraordinaire is what we can say about Carl. His classes are fun and full of exciting things to learn about the body and movement. Carl has a special interest in Postural Analysis. With a very successful Osteopathic practice Carl is able to relay real life examples of what to expect clinical practice. Students, without exception, are in awe of Carl’s ability to create such a dynamic learning environment. As well as being an Osteopath Carl has a Degree in Physical Education. 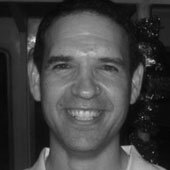 Carl has been a trainer with MIMT for 10 years and has been a Clinical Supervisor at Victoria University. Carl Teaches in our Diploma of Remedial Massage and Advanced Diploma of Remedial Massage (Myotherapy). 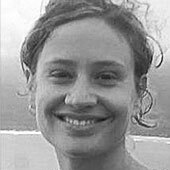 One of our most popular Health Science trainers Elissa has a comprehensive background in Dance and Movement. Elissa is renowned for her easy to understand class style. She really is committed to her student’s success and imparts information in an easy to understand way. Elissa has a beautiful gentle teaching method that endears her to all our students. Motivational, inspirational, dedicated to the industry – we could go on and on about Greg and the success he has with all the students who attend his classes. Greg’s passion for Sports Massage goes back to his days as an elite hurdler and his interest in soft tissue dysfunction. Greg has worked with many elite sports people and was the Tournament Therapist at the Australian Tennis Open for a number of years. Greg has been a part of MIMT since its beginnings in 1998. He is very generous in the time he spends with students both within the classroom environment and with graduates who are in practice. His classes are fun and he creates that “want to learn” atmosphere. He is a wealth of information and the students enjoy every class. Greg’s passion for Sports Massage began in his days as a state hockey player. Greg represented Victoria from the junior to the senior level. After this, Greg turned to track & field and the challenging discipline of 400 metre hurdling. Greg teaches in our Certificate IV in Massage Therapy and the Diploma of Remedial Massage. A legend in the field of Myofascial Release, Michael has been a part of MIMT since 1999. Michael takes all our Myofascial technique classes enabling students to respond more precisely and efficiently to soft tissue restrictions throughout the entire body. Emphasis is given to understanding the physiological and mechanical properties of fascia as a way of maximising efficiency and minimising pain during treatments. This becomes the basis for mastering a range of techniques and approaches that open joints, realign muscles and repattern the neuromuscular system. Michael is a fantastic, world renowned trainer who offers a unique and fun teaching style. Michael teaches in our Diploma of Remedial Massage and in the Post Graduate course Myofascial Release II. Michael Stanborough, B.A.,M.A. (Victoria University), is the director of the Stanborough Educational Group. He has practiced Structural Integration (Rolfing®) for the past 30 years and was a full instructor at the Rolf® Institute in Boulder, Colorado. He was the first Australian to be certified to teach by the Rolf® Institute. He now teaches Structural Integration within his own school, SI Australia. He has taught Myofascial Release at the University of Alabama Physical Therapy Department, Jersey City State College, Shriner’s Hospital in Houston, Childhood Development Center, Fort Worth, for the Korean Musculoskeletal Medicine Group and scores of other schools, hospitals and clinics in the U.S., Australia, New Zealand, Singapore, Japan, Canada and Korea. Conference presentations include the Olympic Park Sports Medicine Centre Soft Tissue Injury Forum (1997), the New Zealand Alliance of Massage Professionals Annual Conference ( Wellington , 2001 and 2006) and the AAMT Annual Conference, 2005. Australia’s leading educator in soft tissue dysfunction, Rob is a legend in the industry. Rob has 23 years experience in Soft Tissue Therapy. Since 1992, he has delivered over 30 conference presentations within Australia, the UK, and New Zealand. Rob was a contributor to the textbook Clinical Sports Medicine by Dr. P. Brukner and Dr. K. Khan.Rob has been head of Massage Therapy/Soft Tissue Therapy/Myotherapy for Australian Olympic teams for Atlanta 1996 and Sydney 2000 – Victorian Institute of Sport (10 years) – 2006 Commonwealth Games, Melbourne – Australian Commonwealth Games team Kuala Lumpur 1998, and this is a shortened version of his achievements ! Rob’ s personable nature and keenness to impart practical knowledge to students is one of the hallmarks of his classes. Here at the Institute we want all students to be successful in the industry and Rob makes sure, within all his classes, that the students are capturing all the skills to ensure their success. Elizabeth has a wealth of experience working in some of Melbourne’s most successful massage centres. Trained here at MIMT, Elizabeth put her skills to great use to become a highly sought after practitioner. After extensive training at the Institute and completing her Workplace Trainer qualifications she decided to become a trainer. She has been a hit with students! Elizabeth teaches the relaxation massage unit within our Certificate IV in Massage Therapy Practice. Elizabeth dedicates all her time to students. She’s approachable, personable and can offer students a real insight into the massage industry. Outside of her training commitments Elizabeth maintains a busy private practice. Matt has worked in a variety of clinics and elite sporting events, including the 2009 Track Cycling Championship, Melbourne Marathon and the Garnier Tent at the Royal Melbourne flower show. His main areas of interest are sporting and occupational injuries, aches and pain from poor postural habits, muscle stiffness, headaches/migraines, arthritis and chronic back pain. Matt has a passion for sport and has spent a lifetime following and participating in various areas, including football, basketball, golf, soccer, cricket and running. He is an avid fan of the Carlton Football club and at a local level, had several years involvement with the Kew Football Club. He currently works as a Myotherapist at Balwyn Sports & Physiotherapy Centre (BSPC) and through participation of the comprehensive professional development program with BSPC’s Physiotherapists, Matt had gained post graduate knowledge that sets him apart from his peers. Sally Mason is an experienced myotherapist, who works in private practice in Eltham. She started her interest in massage studies in 1998 and now holds an Advanced Diploma of Remedial Massage (Myotherapy), Certificate of Sports Massage, Certificate of Oriental Massage, Certificate of Pregnancy Massage, and Sports Trainer level 1 certificate. Sally has a special interest in hip pain management and has completed additional training in post hip arthroscopy rehabilitation. Currently teaching hands on remedial sports massage and other remedial techniques in our Diploma course. Sally enjoys sharing her experience and knowledge with her students, and being part of the journey to being the best therapists in the business. 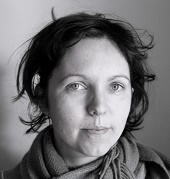 Phoebe Noble is an experienced Massage Therapist and a Dr of Acupuncture and Traditional Chinese Medicine. She studied Massage in Cork, Ireland and then worked full time at a busy clinic. Whilst living in Ireland she inproved her skill set studying and practicing in Hot Stone Massage, Indian Head Massage, Tui Na Massage (Chinese Medicinal Acupressure) and Reiki. She returned to Australia in 2011 to undertake a double degree in Health Science and Chinese Medicine at RMIT. Her approach to massage treatments is both remedial and holistic and believes Massage to be a dynamic and powerful tool in helping her patients to restore their health. Phoebe practices in a well established North Fitzroy clinic. Phoebe teaches the Introduction to Massage course. Nutrition was an unlikely career choice for Alison. Working in advertising, manufacturing and newspapers for many years, like most people Alison ate and drank whatever she wanted and didn’t exercise. Ever. After years of feeling stressed, tired and catching every bug around, Alison finally started to make changes in her life and it wasn’t long before she made the connection between good nutrition and feeling healthy and full of energy. Understanding how hard it is to change habits, and as living proof that it is never too late to turn things around, Alison became an advocate for healthier living and above all; nutrition. After studying for her Advanced Diploma in Nutritional Medicine, Alison qualified to practice as a Nutritionist and founded her business, Alimentary. Alison now runs a private practice in South Melbourne where she helps her clients learn how to eat well for the rest of their lives to improve their health and vitality. An engaging, energetic and motivational trainer, Alison also develops and delivers effective educational seminars, workshops and health and wellbeing programs for corporate and community sectors. Alison is passionate about helping people to make simple, achievable changes to their nutrition and lifestyle that will deliver huge benefits to their overall health and sense of wellbeing. Alison teaches Nutrition as part of our Advanced Diploma Of Myotherapy (22248VIC). Nathan Quinn is a high performance coach specialising in Self Management. Senior Lecturer at the Melbourne Institute of Massage Therapy, creating and teaching Exercise Prescription and Rehabilitation (EPAR) as part of the Advanced Diploma of Myotherapy as well as Health Science subjects within the Certificate IV in Massage Therapy Practice and the Diploma of Remedial Massage. International Health and Wellness educator. Awarded with Runner up best Health and Wellness program at Occupational Health and Safety awards 2013. Creator of a Certificate 3 & 4 Personal Training Course for a leading worldlwide training organisation in 2010. Their Effective Movement Training Practical course 2011, Freestyle Movement Specialist course 2012 – running through Australia and Asia via health clubs Fitness First, Goodlife and Virgin. Programming Director for the SAP clinical trial on the effects of physical exercise on brain function in 2011 (in conjunction with Swinburne University). Educational Coordinator for the Australian Institute of Kettlebells (AIK). Creating the Theoretical Foundations course, educational and how to webinars, developing new systems and career progressions for presenters and trainers in the fitness industry. Creator of the ‘Mindset and Performance Coach’ podcast on iTunes. Interviewing world leaders in mindset and performance. Recently elected the Director of Learning at the Mental Toughness Institute 2015. Carrie has been practising massage since 1997 and holds a Diploma of Remedial Massage, as well as extensive training in two styles of Hawaiian massage. She has also trained in Pilates with a Certificate IV in Pilates Matwork Instruction. Carrie has a PhD in medical engineering, and has been an active medical researcher for over 14 years. This duality of science and intuition allows Carrie to merge the body’s structure and function with the unknown aspects of our beings in her teaching. Carrie teaches Research Methods within the Advanced Diploma of Myotherapy. Nathan has worked in the Massage/Myotherapy industry for over 10 years. He is both a Myotherapist and Exercise Physiologist. His employment history has seen him work in a number of clinical environments integrating with many other health professionals. He is highly passionate about assisting other practitioners to succeed in the industry. Gulcin has always had a passion for massage and decided later in life to follow her dream with MIMT and has never looked back since. She enjoys keeping healthy and fit and believes in balance in order to be happy. Gulcin is well known in the local community as a qualified Remedial Massage Therapist, working for over several years at Martin & Coupe Chiropractic in Watsonia and Banyule Massage Therapy Centre in Heidelberg (multiple winner of the Banyule Best Business Awards in the Well Being category for several years). 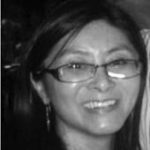 Gulcin has been a part of our team at MIMT since March 2015 as a Trainer and Assessor for the Cert IV of Massage Therapy and the Diploma of Remedial Massage. She is highly motivating and delivers her classes with energy and passion. Her motto is to believe in yourself, do your best and love what you do.